Q: What kinds of vehicles do you buy ? A: We buy any car from any year in any condition – whether it is a car, truck, van, SUV, whether it is new or old, whether it is in good or bad condition,whether it is running or not, even if it a total wreck. We also buy classic cars. 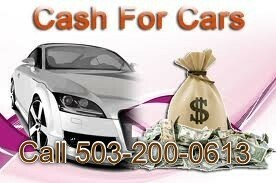 Q: Why should I choose cash2junkcarz.com? A: Probaby! We buy cars all around the USA. We buy cars in almost every state and we cover hundreds of cities nationwide. If you are in a major metropolitan area we certainly cover your area. If you are in a remote or rural area please call us and we will let you know. A: In certain states we can buy your vehicle without it. Please call us to find out what our requirements are in your state.